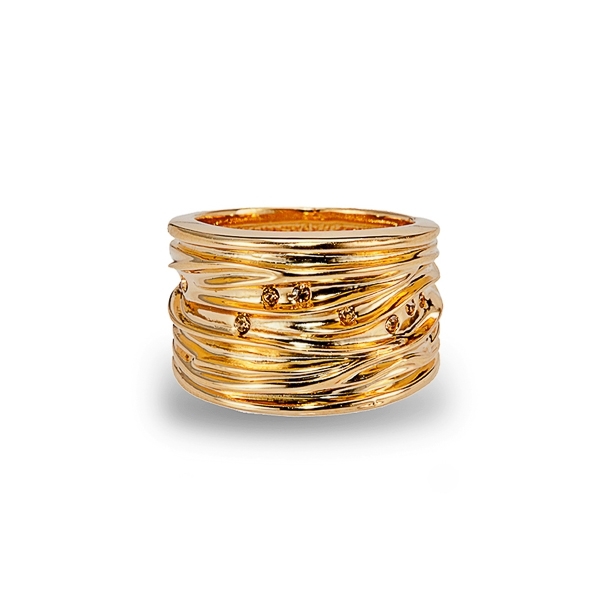 Description: 14k gold plated layered ring band with pave topaz crystals randomly placed between layers. Mix of shiny and matte finish makes this Italian inspired design an elegant everyday piece. Enter Quantity for R-I1001 to add to your shopping cart.